Piezo ceramic crystals are arranged on a concave transducer in a mosaic pattern. A high-voltage current briefly excites the piezo crystals, causing them to expand simultaneously a few micrometers along their axis to create a pressure wave. The piezo elements are aligned precisely to the therapy focus. The precise, focused, and nonlinear dissemination of the pulse results in steepening at the point of focus, creating a compression event. The piezo MyACT system does not require an additional reflector. This accounts for the compactness of the therapy source and the precise, well-defined focal zone. 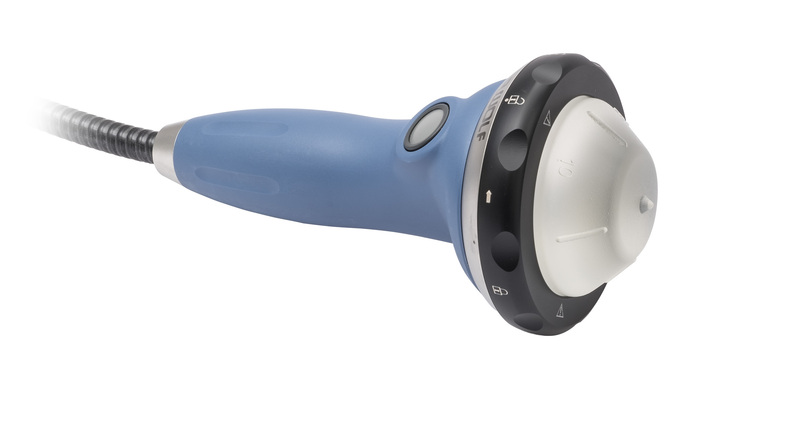 Treatment is quiet and virtually pain-free and the technology allows intensity levels to be freely adjusted with almost no impact on focal size. Piezo technology is extraordinarily durable. Richard Wolf GmbH / Germany and Elvation has specifically designed piezo therapy sources that provide low energy / low pressure levels for myofascial and muscloskeletal massage treatment. Piezo-ceramic elements are geometrically arranged on a concave surface so that when they are excited simultaneously by a brief, high-voltage pulse, they expand by a few micrometers to generate a low energy pressure pulse. The piezo elements are precisely aligned so that each pressure pulse generated focuses in a specific area. This precise focusing of the pulse creates an acoustic compression event at the point of focus. The PiezoWave2 MyACT system provides you with the choice of two piezo therapy sources for this superficial treatment. 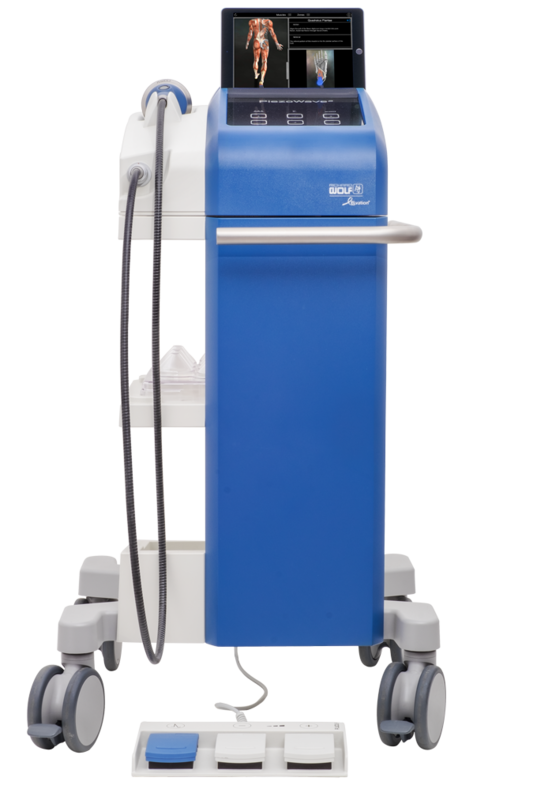 The Focused Therapy Source for pin-point, focused treatments and the Linear Therapy Source for larger treatment areas. 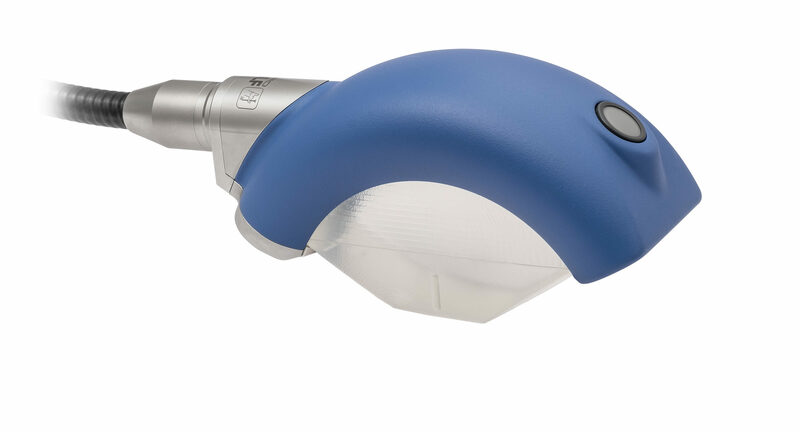 The piezo MyACT technology uses interchangeable gel pads which contact the patient to ensure that the acoustic pulse penetrates precisely to the desired depth with as little scattering as possible. These gel pads are used as spacers and change the penetration depth in increments of 5 mm. They accomplish this by drawing the therapy source’s static focal area incrementally superficial or deep respectively. 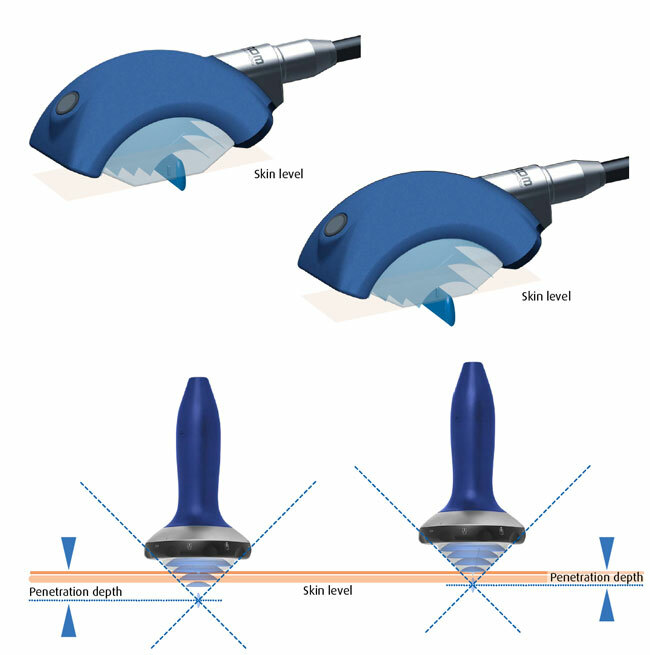 Penetration depths of between 0.5mm and 3 cm are possible, depending on the therapy source.